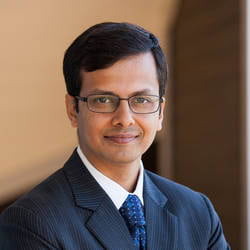 In anticipation of his upcoming conference presentation at Deep Learning World Las Vegas, June 16-20, 2019, we asked Arnab Chakrabarti, Senior Research Scientist at Hitachi America, a few questions about his work in deep learning. Catch a glimpse of his presentation, When is the Next Recession? 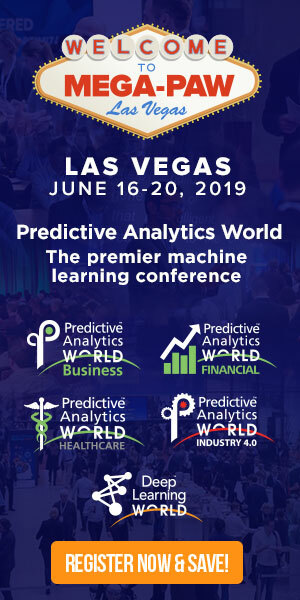 : Forecasting with Recurrent Neural Networks​, and see what’s in store at the DLW conference in Las Vegas. A: The dependent variable is “real US GDP growth rate”. A: Through predictive analytics. The application space can be finance, industrial AI, healthcare, energy or something else. A: The proposed model leads to lower test error (MSE) than econometric models, human forecasters, as well as naively trained deep learning models. A: We were able to train a deep learning model with just 40 years of GDP data sampled quarterly. The LSTM model’s power to generalize surprised us. A: Deep learning is enabling solutions that were not practical fifteen years ago. A: We predict recessions with deep neural networks. Feature engineering plays an important role in improving the prediction, making it both more accurate and more robust – this is something we will discuss. The audience is often curious about the next recession, which is something we can discuss. Finally, there is an interesting insight on what the model actually does – does it predict recessions, or does it learn to reason like a human forecaster? Our results provide a clear answer to this last question. Don’t miss Arnab’s presentation, When is the Next Recession? : Forecasting with Recurrent Neural Networks​, at DLW on Tuesday, June 18, 2019 from 5:10 to 5:30 PM. Click here to register for attendance.